When a drunken party guest challenges him to a late-night tennis match, Sandy Allison finds himself unexpectedly entangled in the monied world of Newport, Rhode Island. A former touring pro a little down on his luck, Sandy has nothing to stake against the vintage motorcycle his opponent wagers. But then Alice DuPont—the young heiress to a Newport mansion called Windermere—offers up her diamond necklace. With this reckless wager begins a dazzling narrative odyssey that braids together four centuries of aspiration and adversity in this renowned seaside society capital. A witty and urbane bachelor of the Gilded Age embarks on a high-risk scheme to marry into a fortune; a young Henry James, soon to make his mark on the world, turns himself to his craft with harrowing social consequences; an aristocratic British officer during the American Revolution carries on a courtship that leads to murder; and, in Newport’s earliest days, a tragically orphaned Quaker girl imagines a way forward for herself and the slave girl she has inherited. Gregory Blake Smith weaves these intersecting worlds into a rich, brilliant tapestry. 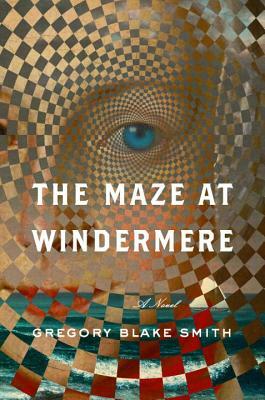 A deftly layered novel of love, ambition, and duplicity, The Maze at Windermere charts a voyage across the ages into the maze of the human heart. Gregory Blake Smith is the award-winning author of three previous novels, including The Divine Comedy of John Venner, a New York Times Notable Book. His short story collection, The Law of Miracles, won the Juniper Prize and the Minnesota Book Award. He has received a Stegner Fellowship at Stanford University and the George Bennett Fellowship at Phillips Exeter Academy and grants from the National Endowment for the Arts, the Bush Foundation, and the Minnesota State Arts Board. Smith is currently the Lloyd P. Johnson-Norwest Professor of English and the Liberal Arts at Carleton College.